47Lining is an AWS Advanced Consulting Partner with Big Data Competency designation developing big data solutions and delivering big data managed services built from underlying AWS big data building blocks such as Amazon Redshift, Amazon Kinesis, Amazon S3, Amazon DynamoDB, Amazon Machine Learning and Amazon EMR. 47Lining helps customers build, operate and manage breathtaking “Data Machines” for their data-driven businesses. Accenture Analytics, part of Accenture Digital, delivers insight-driven outcomes at scale to help organizations improve their performance. Agilisium Consulting is a Los Angeles AWS Advanced Consulting Partner with Big Data, EMR and Redshift competency. Agilisium's goal is to help organizations accelerate their "Data-to-Insights-Leap". To this end, Agilisium has invested in all stages of the customer's data journey: Data Architecture Consulting, Data Integration, Data Storage, Data Governance and Data Analytics. With advanced Design Thinking capabilities, a thriving partner eco-system, and top-notch industry certifications, Agilisium has the expertise needed to help customers get more value from their data. 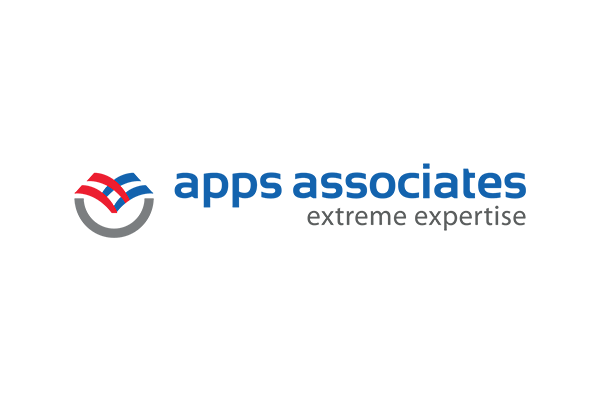 Apps Associates Cloud Services Practice includes service offerings in Application/Database/Data Center Migration & Hosting, Application Modernization, Big Data/IoT and Managed Services. These services are an extension of the firm’s consulting service portfolio and competencies in enterprise applications, analytics, infrastructure & application managed services, and application custom development. AWS services such as Amazon EMR are integral to the business plan and growth strategy of Apps Associates and their Cloud Services practice as a foundation to support the Business Transformation initiatives. We have designed and deployed numerous solutions with Amazon EMR to process vast amount of data. These solutions were supporting both workload migrations to AWS as well as net new workloads. We also have a lot of experience working with Apache Spark. An AWS Premier Consulting Partner with 5 competencies (Migration, Big Data, DevOps, Marketing & Commerce and Mobile) and multiple certifications and accreditations, ClearScale has the proven capability to build, deploy, automate, and manage complex cloud architectures on AWS. CoreCompete provides a technology neutral sandboxed environment on AWS cloud. Working with the clients’ project goals, CoreCompete's data scientists develop a prototype and quickly and continuously refine it in an agile fashion to deliver a proof of concept. NorthBay often encounters the need for variable-compute processing of data and Amazon EMR fits very well with their consulting practice. Amazon EMR provides the solution for the processing, manipulation, aggregation, querying and analysis of data. NorthBay's consulting practice positions Amazon EMR as a flexible, capable, and scalable option for the processing stage of the data lifecycle and for the analytics whether it be Hive, Pig or Presto. Amazon EMR also provides NorthBay with basis for in-memory processing with Spark and near real-time processing with Spark Streaming and even ML workloads with Spark MLLib. It is often involved on both the write side and the read side of a data lake on Amazon S3. Relus Cloud has proven expertise in turning data into actionable insights. Extensive Spark programming and proven AWS platform experience enable Relus to accelerate your big data initiatives through segmentation, analysis, and visualization. TEKsystems provides organizations with thought leadership, implementation and on-going support to deliver solutions that leverage Amazon EMR to help gain data driven business insights required to transform processes, drive growth and identify new opportunities. Vertical Trail provides modern data solutions built on AWS that facilitate innovation. We leverage EMR, RedShift, Aurora and other native AWS services to deliver high-value insights and analytics. Our consulting and Managed Big Data solutions help accelerate your business expansion and growth. Let Vertical Trail help you discover the true value in your data by embracing cloud enabled innovation. As the first European company to become an Amazon Redshift Partner, BEEVA deploys Amazon Redshift combined with other AWS services such as Amazon EMR and Amazon Kinesis providing to the customers fully functional Big Data platforms integrated with several data sources, specialized NoSQL databases, ETL, visualization and analytic tools. BEEVA's architectures often includes Data RESTful APIs to generate new means of revenue from data, or to integrate back with operational applications. Every Big Data platform deployment is tailored for our customers and used to complement or substitute legacy Business Intelligence platforms. AWS EMR allows us to easily design and deploy in a matter of minutes a cost-effective solution to enable the Big Data projects of our clients allowing the processing of large scale data quantities. All achieved with a simplified management framework using Apache Spark or Presto, for example. AWS perfectly interacts with S3 and DynamoDB data stores, so it seamlessly combines and works with the existing AWS architectures of our clients. EMR is the service of choice for us to reliably and securely handle some of the usual big data use cases: data warehousing, machine learning, financial analysis or scientific simulation. Delivery of high quality, bespoke Big Data solutions, providing skills and services across the breadth of AWS Big Data technologies. KCOM's Big Data platforms are born in the Cloud, built upon years of AWS expertise, best practice and a track record of delivering secure and robust Cloud solutions. As an active and experienced AWS Premier Consulting Partner, tecRacer consults on and implements AWS based projects with Elastic MapReduce (EMR). As authorized AWS Training partner, tecRacer also delivers the AWS "Big Data" Course which has a focus on EMR. The Big Data and Analytics on AWS practice aims at delivering solutions that leverage AWS offering. Solutions range from Traditional Data Warehousing, BI and Anlytics to Big Data and Data Stream Analytics. AWS Big Data CoE. Making computing, analytics and visualization possible on cloud. We have the expertise in big data tools and processes to derive actionable insights from mountains of disparate data that enterprises collect each day. Mindtree's experts captured millions of records, including structured, unstructured and biometric data. SoftServe Big Data Team has extensive expertise in design, implementation and modernization of Big Data & Analytics solutions including Hadoop-based systems, NoSQL, MPP Data Warehousing, BI Visualization and Advanced Analytics.